Jenn Goddard is based in Orlando, Florida. Jenn is a pro in the field of personal transformation. She has spent over 10 years helping people, personally and professionally, move from where they are to where they want to go. Jenn started her career in the field of marketing, but after several years, realized it was not her true passion. She really wanted to work in the field of personal development. She brings all of her experience and expertise in the field of marketing to help her business clients set goals, visions, and plans to grow their business. 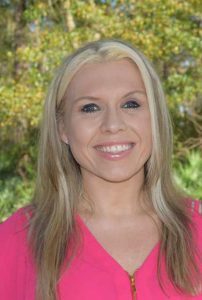 Jenn is certified in Hypnotherapy, NLP, EFT Tapping (Expert-Trainer), Emotion Code, Core Transformation, Psych-K, and Anthony Robbins Strategic Intervention. She is passionate about what she does and loves to help people by utilizing the most advanced techniques for personal change. Come hear Jenn’s high-energy passion as she helps guide you – to and through – the real obstacles getting in your way. Jenn is deeply committed to helping you reach the goals and desires you hold for yourself. You’ll be glad to have her on your Team!